Ambition Photonics Inc. is a start-up based on the photonics-related researches carried out in Tokyo Institute of Technology. Our team and advisors have extraordinary experience in designing, fabricating and evaluating semiconductor components and integrated systems. The company’s vision is to provide breakthrough solutions for both mature and emerging industries. We mainly provide services such as technical consulting and contract research. Releasing our innovative products is also our target. We make anything but ordinary! 2017/01/09 Techology introduction page is updated. 2016/04/15 Our beta Homepage is launched! 2015/10/15 Ambition Photonics Inc. is officially founded. 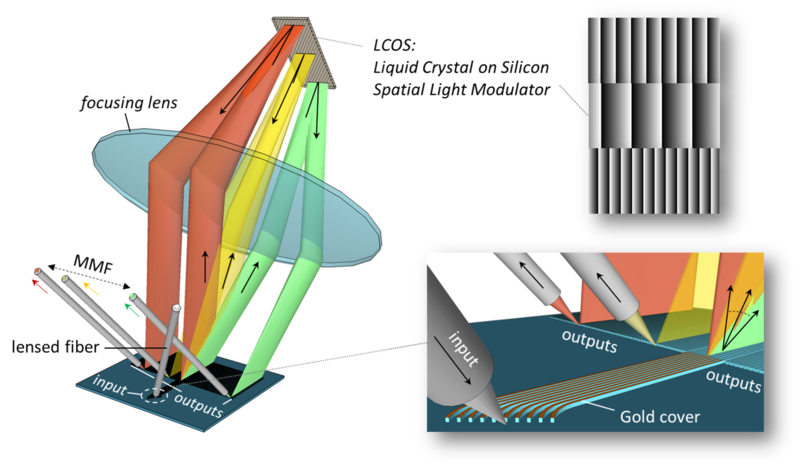 Technology coverage/applications of Ambition Photonics Inc.
A novel wavelength selective switch (WSS) is proposed based on a Bragg reflector waveguide array, which has a footprint of only 2×6 mm2. We demonstrated arbitrary switching among 182 output-ports by using a liquid crystal on silicon (LCOS) as a switching engine. The proposed WSS module length is only 10 cm, taking advantage of the large angular dispersion in the Bragg reflector waveguide. Wavelength selective switching of 60 channels is carried out, exhibiting the device’s excellent capability in providing ultra-large number of port-count and wavelength-channel operations at the same time. The crosstalk between adjacent ports are below -20dB by a suitable alignment, which can be further improved by optimizing the module optics and alignments. The flexible lithography-defined waveguide array design also reveals versatile potentials in integrating with other functional components. 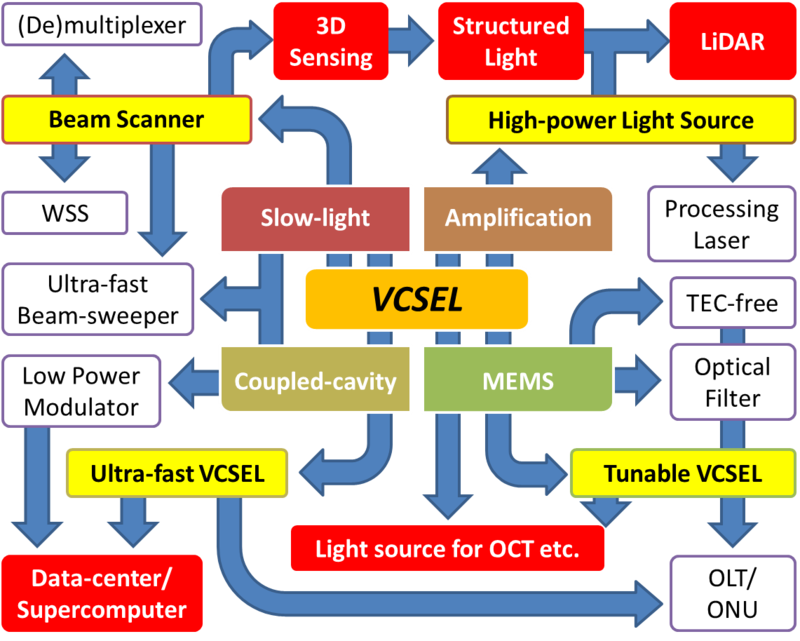 Vertical-cavity surface-emitting laser (VCSEL) was invented by Prof. Emeritus Kenichi Iga of Tokyo Institute of Technology in 1977 . The first room temperature continuous wave lasing of a VCSEL was achieved by Prof. Fumio Koyama in the beginning of 1987 . VCSEL shows great advantages regarding its small-size, low power consumption, possibility in 2D arraying, and importantly, extremely low cost. Until now, VCSELs have been the most-shipped lasers every year. Further researches were still being carried out globally. Ambition Photonics Inc. focuses on the studies on higher-performance VCSEL and its derivative photonics functional devices. K. Iga, S. Kinoshita, and F. Koyama, “Microcavity GaAlAs/GaAs surface-emitting laser with Ith = 6mA,” Electron. Lett., vol. 23, no. 3, pp. 134–136, Jan. 1987. Slow light is a fantastic phenomenon that reveals a powerful way in controlling light. 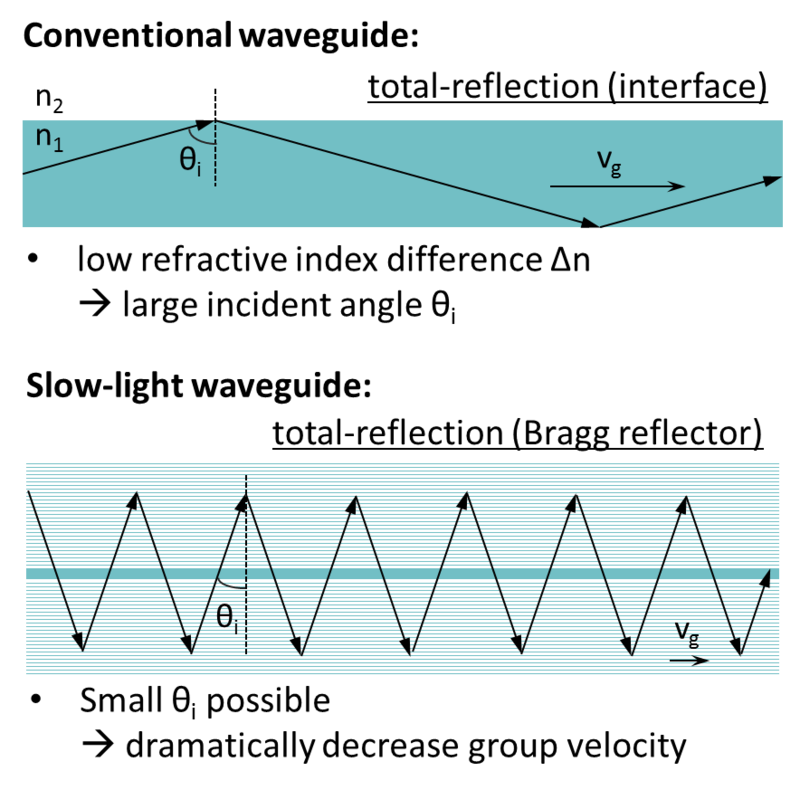 Especially we focused on the slow-light that propagates in the Bragg reflector waveguide, which has the same vertical structure as a VCSEL. In 2011, we found that a slow-light waveguide is highly dispersive that can provide us an intelligent way in beam-steering [1, 2]. We have demonstrated the world highest-resolution non-mechanical beam deflector with a number of resolution-points over 1000 [3, 4]. Utilizing this fundamental technology, our group has proposed various breakthrough applications such as a 200-channel wavelength demultiplexer, a 182-port wavelength selective switch, 2D beam deflector with resolution-points over 10,000 etc. Our start-up aims at converting those lab-level inventions into competitive commercial products in the near future. 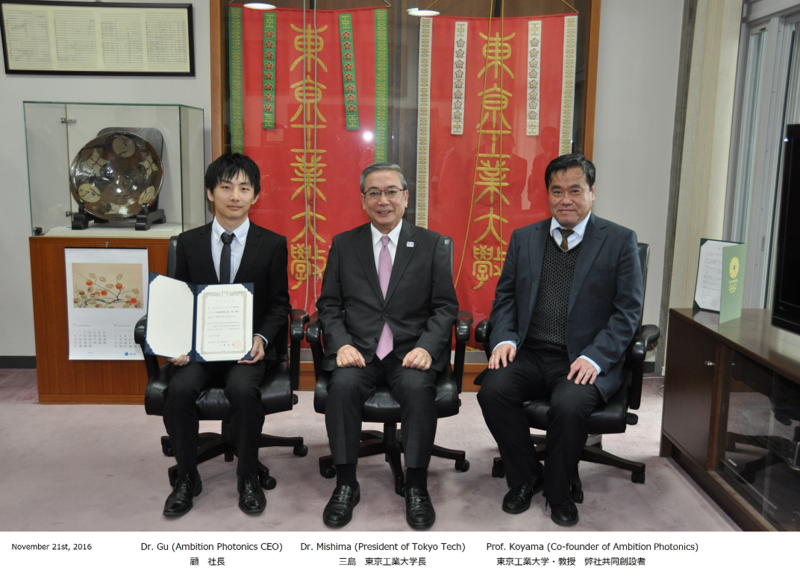 X. Gu, T. Shimada, and F. Koyama, Optics Express, vol. 19, no. 23, 22675～22683, (2011). X. Gu, T. Shimada, A. Matsutani, and F. Koyama. 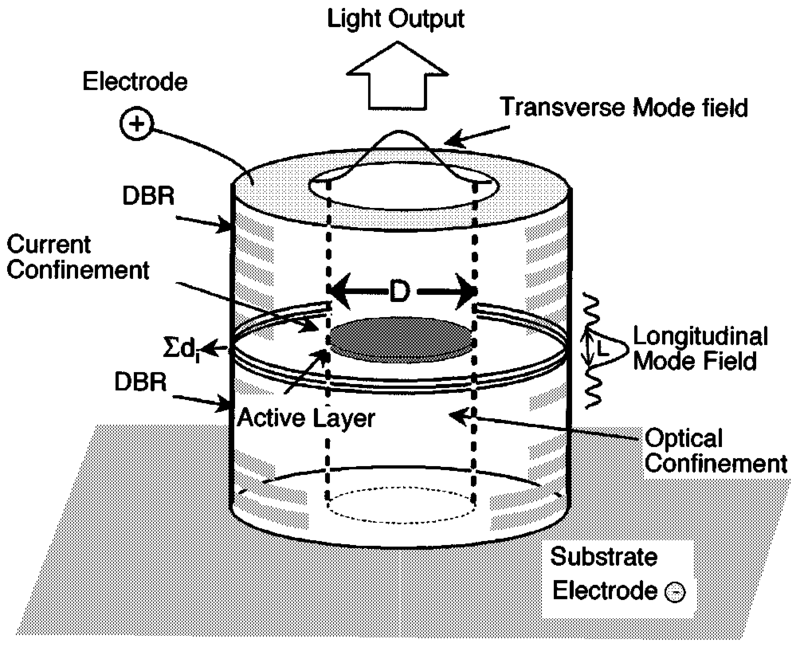 IEEE Photon. J, vol. 4, no. 5, 1712-1719 (2012). A slow-light waveguide can provide large optical gain with a small component size. Over 30 dB amplification is achievable with an amplifier length of ~ 500 μm . The amplification can be used for pumping an external signal as well as an integrated seed laser source. Combining with the beam-deflection and MEMS technologies, LIDAR emitter, high-power tunable VCSEL, and various other exciting applications can be made. M. Nakahama, X. Gu, F. Koyama., to be published. The same vertical structure of VCSEL and slow-light waveguide allows us to integrate multiple devices laterally. Various interesting phenomena have been discovered utilizing this technique. Especially we focus on enhancing a transmitter’s bandwidth either using DML or EML approaches [1, 2]. Frequency response over 30GHz has been demonstrated experimentally while we are aiming at further improvements and implementations into systems. Micro-electro-mechanical-system (MEMS) is a versatile technology that well controls fine structures with a motion in micrometer or even nanometer order. 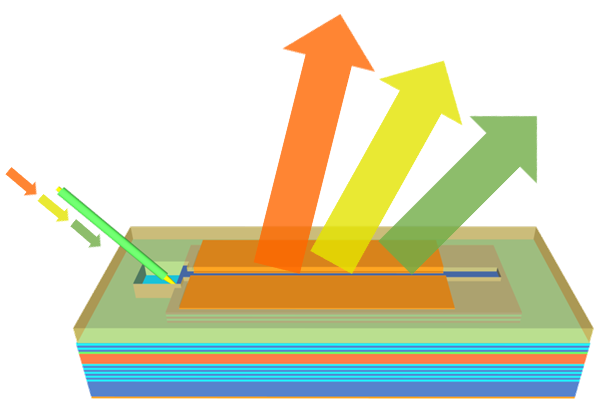 MEMS-VCSEL can provide a wavelength tuning of over several tens of nanometers. It could be used not only in communication systems but also in biomedical imaging, gas sensing and various other industrial applications. TEC-free operation is also possible by using a bimorph mirror . It can largely reduce the module costs especially for use in short-reach communication systems and large-scale datacenters. 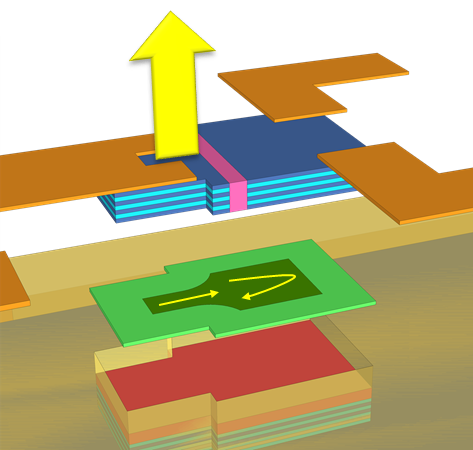 On-chip integration of MEMS and amplifier devices will be a breakthrough solution for making high-power tunable laser sources. More introductions to our technologies will be added in the future! Ambition Photonics Inc. was founded on Oct. 15th, 2015. Please contact us via the following email, for anything you want to know about. Copyright © 2019 Ambition Photonics Inc. All rights reserved.